Politicians in Northern Ireland are facing calls to be courageous and visionary by pledging to invest in the arts sector. The country has for a long time been the "poor cousin" when it comes to funding compared to the Republic of Ireland and other parts of the UK, an event at Stormont heard. Beneficiaries of a thriving arts sector can include older people with dementia, young people suffering from mental health problems and communities facing conflict legacy issues, the audience was told. Impassioned pleas for investment came from various arts sector workers and business people including Bill Wolsey, who owns Belfast's five-star Merchant Hotel. He told a packed Long Gallery during the Big Art Debate that the sector is linked "hand in glove" with the hospitality industry. He said: "Without the arts there wouldn't be the growth in our business." He said tourists spend more in the Republic than in Northern Ireland but said Dublin has advantages including "a government that actually functions" adding that it understands the importance of the arts to hospitality. The arts and culture industry in Northern Ireland employs more than 6,000 people and contributes £151 million to the local economy, the arts council said. 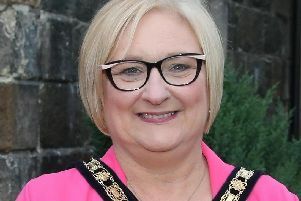 Its chief executive Roisin McDonough said "tiny" amounts of money can be found for the arts "if there is the political will and the appetite to do so". She said: "The arts in Northern Ireland in comparison to all of these other jurisdictions in these islands have consistently bumped along at the very, very bottom. We've always been the poor country, second, third, fourth country cousin." Dr Jenny Elliott, chief executive of Arts Care, said the arts "make a huge difference in people's lives" and appealed directly to elected representatives to ensure the sector receives appropriate funding. She said: "I would ask and invite our politicians to be courageous, to be visionary." Referencing the current political impasse Claire Hanna, who sponsored the event alongside the UUP's Mike Nesbitt, said it was "heartwarming" to see so many people in attendance. The SDLP MLA said: "It's novel and quite heartwarming to see this building used for debate and used for engagement and I hope that we, as your MLAs, will follow suit sooner rather than later and I say that in the very confident knowledge that there are no other solutions other than accommodation and partnership and powersharing, ideally in this building."